If you use a furnace to heating your home, it is very important that you invest in the proper care to keep your unit functioning properly and in good health. Your furnace plays a very important role in the overall comfort and safety of your home during the winter months of the year, and anytime your system develops any kind of issues, no matter how small or insignificant they might seem, it is important to ensure that you get your furnace the prompt and professional repairs it needs to continue operating at its best. Here at Mobley Heating & Air, our trusted heating contractors work hard to ensure you always have access to the high quality repairs you need for your home's furnace when you need them most. Don't take chances when it comes to your furnace repair needs. Give our team of professionals a call today and get peace of mind in knowing that your furnace's care is in good hands. Here at Mobley Heating & Air, we understand the important role your furnace plays in the function of your home and the comfort it is able to provide to you and your family. As such, we never sacrifice quality for the sake of speed when enacting any kind of repairs to your home's furnace. No matter how routine or complex your repair needs might be, we approach every job with the same level of care and attention to detail because we know the dangers a malfunctioning furnace can pose to you, your family, and your home. With that in mind, we are constantly striving to ensure you receive the care you need to keep your furnace in the best condition possible at all times. If you have any questions about our full line of high quality furnace repair services, or if you would like to schedule an appointment for service with one of our specialists, give us a call today. Our team of experts are always standing by and would be more than happy to assist you in any way we can. Pilot Light Ignition Problems - If your pilot light is constantly going out, your furnace might only be able to provide intermittent heat to your home, if it is able to provide anything at all. 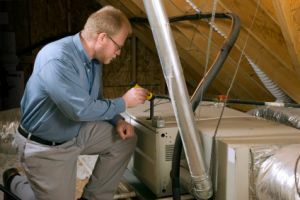 Air Flow Issues - There are any number of factors that could lead to air flow issues in your furnace, with some of the most common being issues around your belts, bearings, or fan motors. These can cause your furnace to overheat or result in poor control over your system. Malfunctioning Thermostat - Without a properly functioning thermostat, you aren't going to be able to properly control the amount of heat your furnace is providing to your home. Lack Of Maintenance - The winter months can place a lot of strain on your furnace, and if yours hasn't been properly maintained in recent years, all of this additional strain could easily result in any number of problems cropping up with little to no warning at all. It is important to ensure our furnace is getting the regular maintenance it needs, and that any issues that do spring up are repaired promptly before they can cause any further damage to your system. 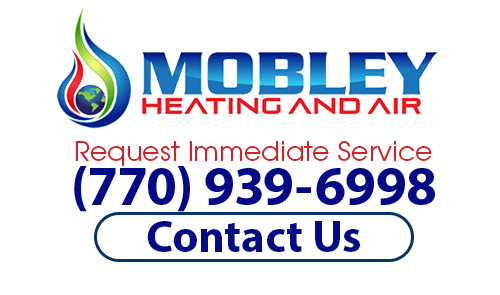 If you are looking for a furnace repair company, then please call our heating contractors at (770) 939-6998 or complete our online request form.